The growing city in the metro brings together big city amenities with small town charm. EDEN PRAIRIE, Minn. — Located just outside of the Twin Cities, Eden Prairie provides a perfect balance of small town feel and big city amenities. With a growing population of more than 62,000 people, and with the number of businesses multiplying, residents there say it's a great place to raise a family. So, we decided to explore the city for UNZIPPED, our KARE 11 Sunrise segment where we "unzip" different zip codes in our area to discover the people and places that make it so great. The city of Eden Prairie has nearly 10,000 acres of land designated for parks and open spaces, along with miles of scenic views. 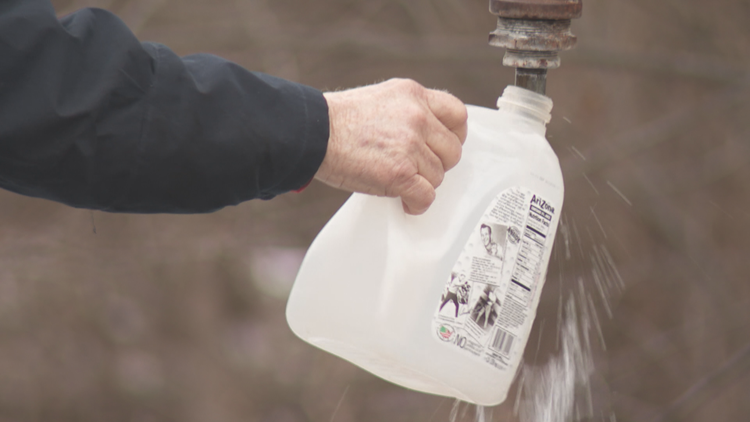 One of the more popular hidden attractions is the natural water spring, where residents line up to grab free fresh spring water from a creek. Of the must-see places, residents told us to check out Lion's Tap and its burgers. The owner told KARE 11 it's nothing fancy, but it's certainly the talk of the town. "We have everyone from the mayor to the local trash haulers to the construction guys out front and everything in between," said owner Bonnie Notermann. It's not just the cheap eats bringing in these burger patty patrons for 41 years and counting. The town offers an escape for those looking to get out of the big city. "Eden Prairie reminds me of my hometown," said one patron. "Our employees rally around the local sports teams, high school hockey, high school football and I think it would be a great place to raise a family." Besides the burgers at Lion's Tap, we had to check out Tavern 4&5, where residents told us it was a must stop shop from breakfast to late night eats. 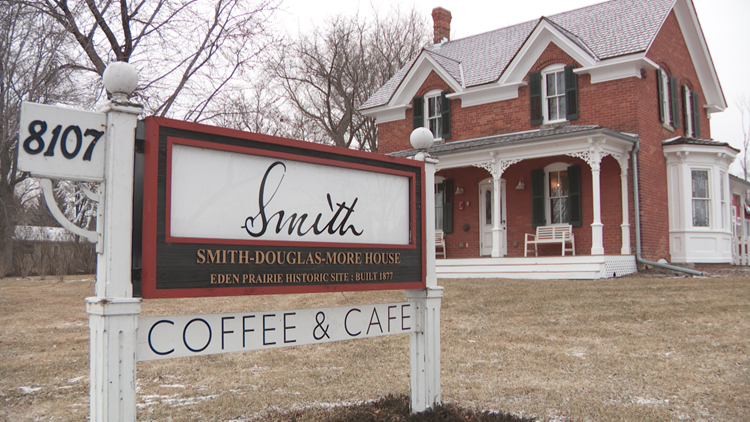 Another hidden gem within this zip code is Smith, a coffee staple in Eden Prairie. It was originally a house built in 1877 by Sheldon Smith. "We try to do really good coffee, we try to make the best coffee we can, great food and be a great meeting place," the owners said. Eden Prairie is growing - and growing fast. Mayor Ron Case says by 2040, the city is expected to jump from 65,000 people to about 75-80,000 residents. "I think anytime you have development, that causes stress and pressure," he said. "We have more open space in Eden Prairie than almost any other suburban city our size, so I think we've done a great job keeping our park lands and open space." Affordable housing is an issue that comes up, but Case says he thinks the city is positioned well. "We do have our upscale housing, but we also have over 4,000 apartment units that a lot of people don't realize," Case explained. "We're 25 percent diverse here in Eden Prairie, which we're really proud of, so I think the availability of life-cycle housing in that spectrum is probably broader in Eden Prairie than most communities." Case believes more housing options will open in the future when the Southwest LRT line arrives in Eden Prairie. To learn more about the community, visit its website here.